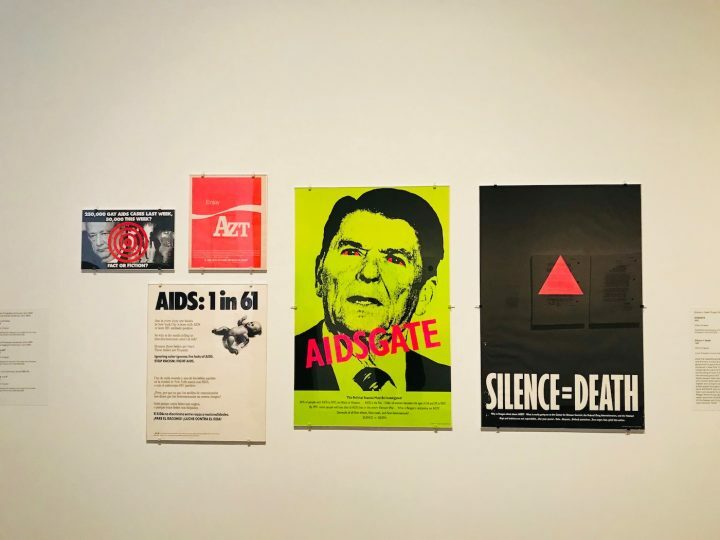 Conspiracy theories have gone mainstream in 2018, but the Met Breuer’s exhibition downplays the political importance and danger of their existence. Conspiracy theories routinely confuse opinion and fact, synthesizing a misguided gut instinct with keen skepticism. The result of the propagation of these theories is effectively the creation of two types of history: one about what happened and another about the perception of what happened. A conspiracy theory feeds on the latter, spreading radical ideologies that capitalize on feelings of insecurity. And once a conspiracy theory gains traction, it’s almost impossible to quash; it becomes a self-generating cancerous cell capable of replicating its politics of alienation again and again. The exhibition Everything Is Connected: Art and Conspiracy has inadvertently cloned this dangerous cycle of selective thinking, downplaying the political significance of conspiracy theories to examine them throughout the last five decades of art history as cultural phenomena and a set of visual motifs. Curated by Doug Eklund and Ian Alteveer, the exhibition spitballs about the greater meaning behind everything from assassination attempts to extraterrestrial touchdowns and the September 11 terrorist attacks all in one breath. More, the exhibition tries to make a beeline from the paranoiac 1960s to 2016, linking how artists have rendered “alternative facts” right up until the election of President Donald Trump, America’s greatest tycoon of misinformation. 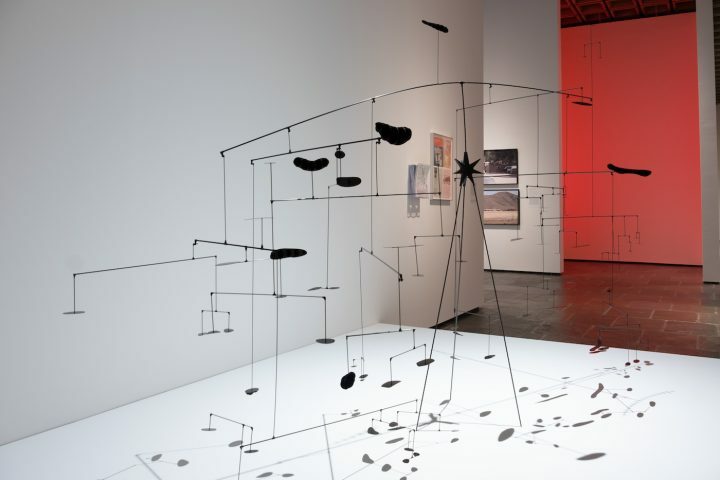 The primary sin of this exhibition is its inability to present a clear, operational definition of the word “conspiracy.” Although the show claims to explore the simultaneous development of two kinds of conspiratorial art — one that “hews closely to public record” and another that dives into the “fever dreams of the disaffected” — the nuance within these two categories is lost by a freewheeling organization that sees AIDS activism agitprop and Black Panthers’ ephemera as equal to the swirling scatological appendages of Peter Saul‘s “Government of California” (1969). Such visual comparisons are misleading. Does the Reagan administration’s years of silence on the AIDS epidemic constitute conspiracy or pure negligence? 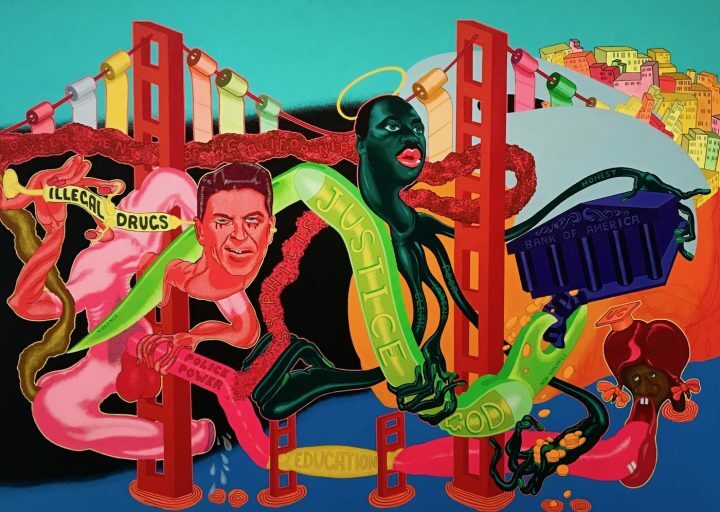 Likewise, does Saul’s misanthropic mashup of civic issues and icons that includes images of Ronald Reagan as a druggie and Martin Luther King Jr. as a giant octopus massaging the phallus of justice point toward anything other than disaffection? It’s hard to tell, especially in the exhibition’s first galleries which are supposedly devoted to artists who take an investigative approach to their work. The problem here is the lack of context. Treating conspiracy as a simple visual motif downplays its socio-political consequences in the real world. This year conspiracy theories have gone mainstream, endangering many innocent lives, and arguably affecting the outcome of several elections. If museums double as culture classrooms, then they have a mandate to educate their audiences with the facts. Unfortunately, I find that Everything Is Connected leans too far into conspiracy territory to find its critical-historical voice. Notably, the exhibition’s catalogue features just one essay by a political historian, Kathryn Olmsted, which charts a very general overview of how government conspiracies have affected the public’s distrust of politicians. But today, more thought is needed by specialists to ethically tell the history of conspiracy theories. Throughout the exhibition, it feels like the curators just assume that visitors will be able to sort fact from fiction. I feel that this is a dangerous assumption. According to a study published by two political scientists at the University of Chicago, roughly half of all Americans believe at least one conspiracy theory, and the evidence shows that there is a strong disposition in this country toward believing that unseen yet intentional forces drive our politics in a Manichean struggle between good and evil. A 2017 study by the European Journal of Social Psychology found that belief in conspiracy theories predicts maladaptive perceptions and behaviors such as withdrawal from politics, decreased civic virtue, hostility, and a tendency to political radicalization. Consequentially, Everything Is Connected is mistaken in presenting conspiracy theories as mere cultural byproducts rather than agents of change in American society. This is especially worrisome in the show’s second half, where the most controversial speculations are presented. Here, we see John Miller’s “ZOG” (1998), which lampoons an enduring conspiracy theory about Jews controlling Western governments by phrasing the acronym within a Wheel of Fortune reveal, complete with a jumpsuited Vanna White. 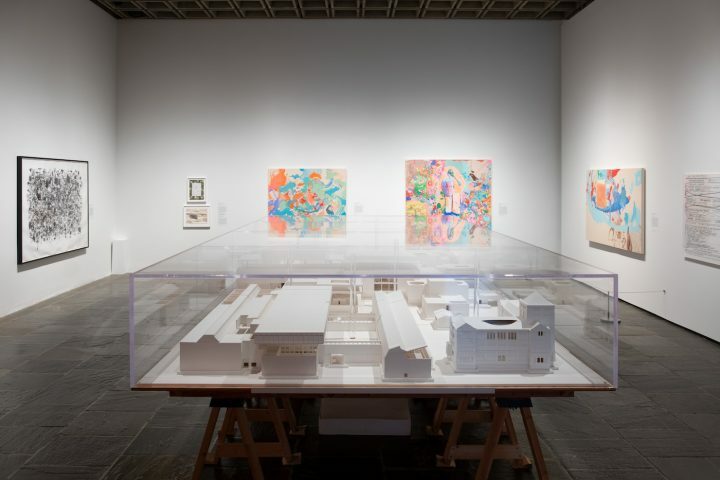 Nearby are Sue Williams’s reactionary paintings about September 11, which are replete with a dizzying array of imagery including genitalia, entrails, black-ops, and the smoldering Twin Towers. These contentious paintings are oddly presented in the same room as Jim Shaw’s “Martian Portraits” (1978), a hilarious takedown of supermarket tabloids supposedly “revealing” the aliens that live among us in human disguise. Is it responsible for The Met Breuer to present these works together? 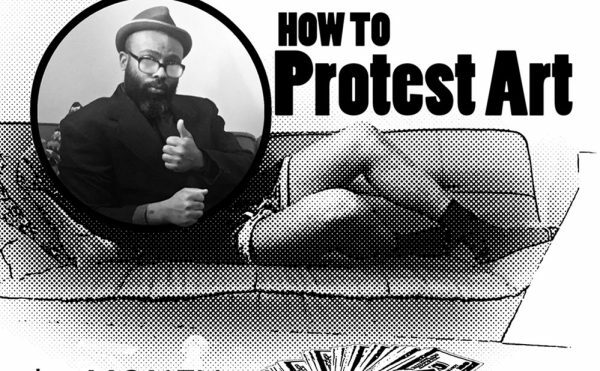 Can the comedy found in Shaw’s work really mitigate the controversy of Miller and Williams? Again, my mind returns to the present. Anti-Semitic hate crimes rose 57% from 2016 to 2017, and although you may not have seen the acronym ZOG, its partnering term “globalist” has made a comeback as a jab against Jews. (Trump even used the term to criticize Gary Cohn after he resigned from his position as director of the National Economic Council back in March.) Similarly, Williams’s 9/11 paintings riff off a commonly held assumption that 2001’s terrorist attacks were actually an inside job. As Olmsted even points out in her exhibition essay, theorists from the far right were quick to blame the Jews — alongside Communists and big businesses — for the attacks. How promulgating a leftwing conspiracy theory about the government’s role in the attack is any more ethical evades me. As much as conspiracy theories reflect national insecurity, Everything Is Connected succeeds in illustrating how tenuous America’s trust in its own government has been for the last fifty years. Today, it may be at an all-time low. And there’s good reason for that: some conspiracy theories turn out to be based in independently verifiable events. Whistleblowers have demonstrated government malfeasance through the decades with the release of documents like the Pentagon Papers, the Panama Papers, and the NSA global surveillance disclosures. Even federal investigations have exposed the depth of corruption within government (and its own offices) through the Watergate scandal and, more recently, the Russia investigation. The exhibition pays deference to these fact-finding revelations with works by artists who work from public records, such as Hans Haacke, Jenny Holzer, and Mark Lombardi. 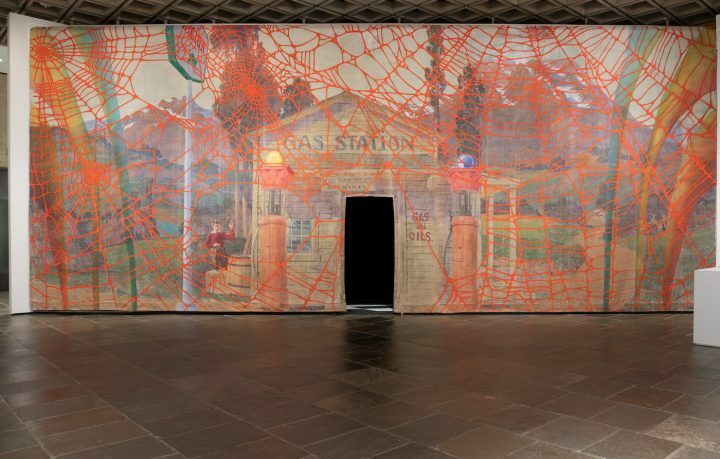 Despite their relationship to more speculative works of fiction on display, these artists make an impact in the exhibition because they are rooted in reality. Their works are not sensationalist conspiracies capitalizing on public anxieties; rather, they piece together a puzzle of facts. Haacke presents his 1971 exposé on New York City’s heinous cadre of slumlords. 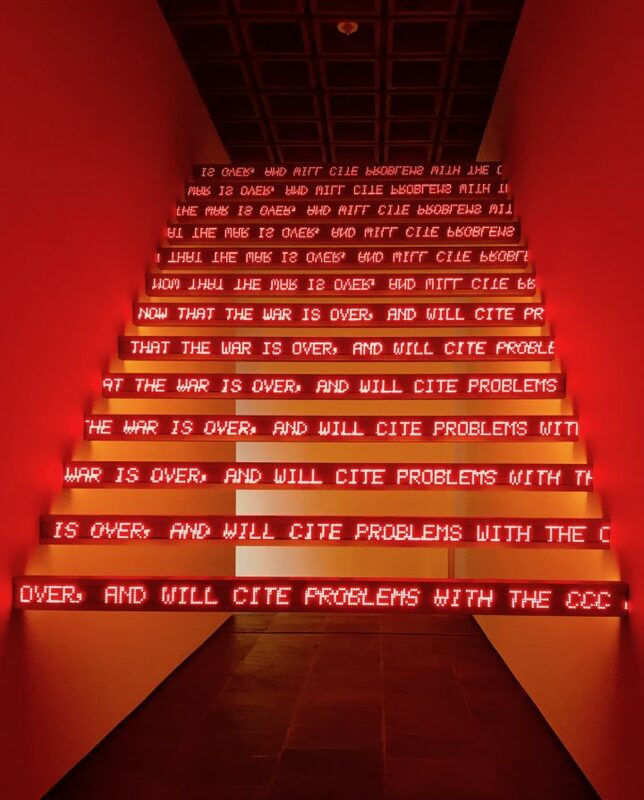 Holzer reproduces 9/11-related declassified government documents as art objects. Lombardi turns a conspiratorial web chart into a fact-based detailing of government corruption following a detailed trail of money to the laundering of money and weapons. This is art serving the public interest, relaying poor governance as a brilliant example of Hannah Arendt’s banality of evil, which describes the way bureaucratic systems can normalize wrongdoing on unimaginable political, financial, and criminal scales. Sometimes, conspiracy is no big secret — it’s just bad government. Understanding that reality helps us hold our leaders accountable. 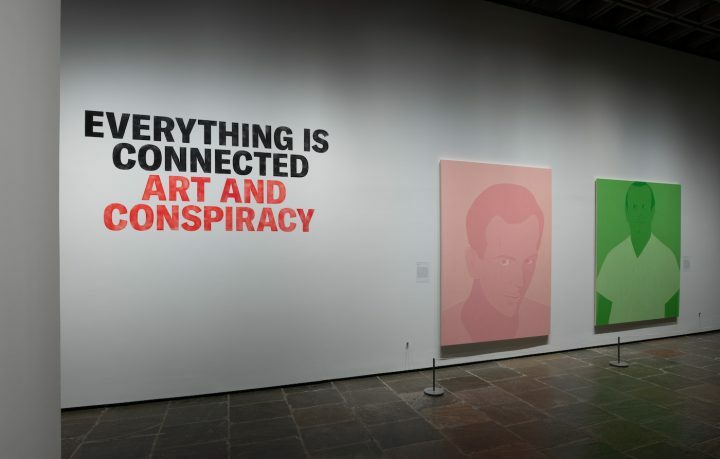 Everything Is Connected: Art and Conspiracy continues through January 6 at The Met Breuer (945 Madison Ave, Upper East Side, Manhattan). 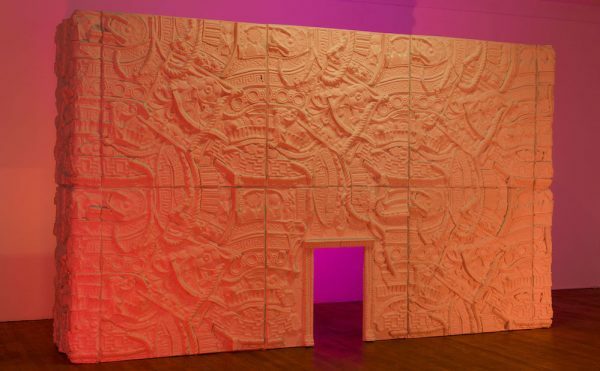 The exhibition was curated by Doug Eklund and Ian Alteveer.